Go Green! 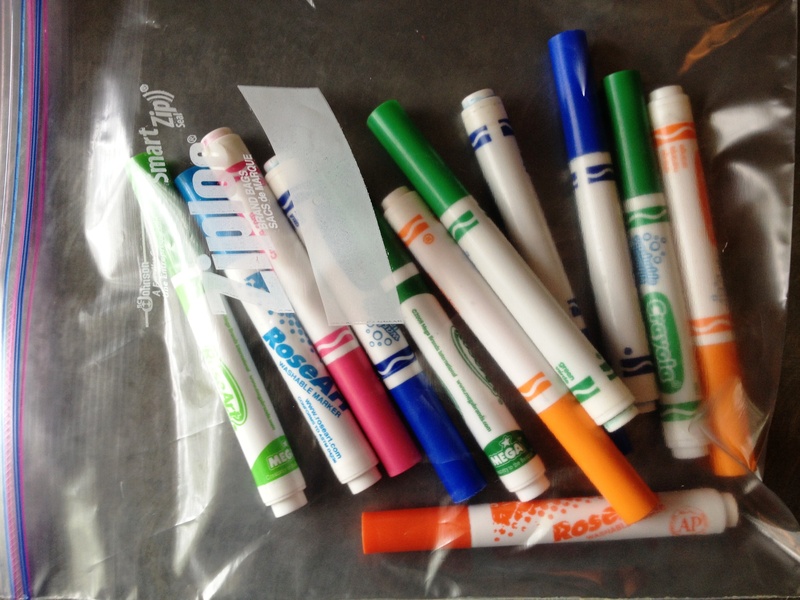 Recycle Old, Dried Out Markers into Paint! Oh, no! You just stumbled across another dried out marker. Will your kids ever remember to put the caps back on!?! No worries. Instead of throwing it away, put it aside along with other dried out markers in preparation for a project that is both creative and environmentally friendly. With just a few steps and a few inexpensive supplies, you can recycle your dried out markers into watercolor paint. 1) Once you have a collection of dried out markers organize them into similar colors. 2) Fill a plastic cup with water. 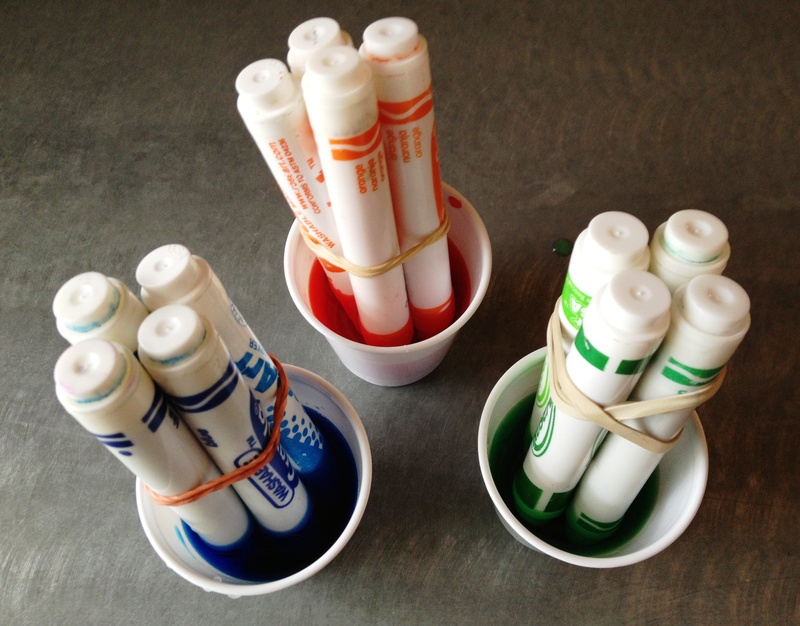 Using 1-3 markers at a time, soak the tips of the markers in water. To speed up the process, take the markers apart, removing the internal ink-filled felt core and submerging it into the cup of water. There is no hard and fast rule as to how much water to use, so you will have to do a little experimentation. However, the more water that you use, the more diluted the ink will be. If you prefer pastel colors, soak the tips or core in more water. If you prefer brighter colors, use less water and more markers. Once you have sufficiently soaked the markers in water, transfer your new paint into lidded bottles for storage. 3) Now for the fun part. Fill squeeze bottles with your new “paint.” Your kids can then squeeze a little of each color into their paint palettes or into plastic egg cartons. Before you know it, they will have created mini-masterpieces using paint produced from this green process. this is just what i need for my science fair called go green!